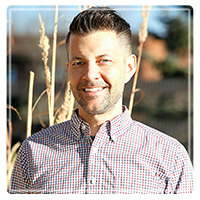 Boulder Therapist: Scott Boyd - Therapist 80302. Session Fees: $150 for 50 minute session. Most likely you’re not looking for a therapist because you feel so awesome you want to pay someone to talk about it. I know that certainly wasn’t the case for me — I first sought therapy because I was in a ton of pain (and not the physical kind). If that sounds familiar, first off, welcome. Second, although suffering is painful, sometimes pain is the only thing that can motivate us to make the positive changes necessary for true happiness. Although it might be external circumstances that caused you to start looking for a therapist, I believe it is the internal work that sets us free. If we are waiting for people to act differently towards us, the world to be more fair, our boss to recognize our genius, etc. then we are giving away control of our happiness. I firmly believe that we all have the capacity to be truly happy. My aim as a therapist is to help you get rid of the parts of you that are standing in the way of this. I do this by combining talk therapy, education and “homework” to help increase self actualization. I want to pass on what I have learned in school, in therapy, in my training, what I have gathered from working with others and from my own internal journey towards freedom. You can feel better and I can help. I work with couples, adults, college students, teens and adolescents. I run weekly groups to support those suffering from depression and for those struggling with addiction. Details on the two different groups are below, please feel free to reach out for more info. The group is focused on members working together to overcome depression. Topics include accepting and processing difficult emotions, solutions for symptoms of depression, mindfulness, meditation, psycho-education and improving interpersonal relationships. The group meets weekly on Mondays for one hour (6pm – 7pm). Please contact me for availability. – Open-ended (members can join, leave, and re-enter (if space is available) the group as they wish). – The group will be a mix of process and psychoeducation. A weekly group for people suffering with addiction. We will focus on identifying and managing cravings, relapse prevention, emotional regulation, psycho-education and interpersonal relationships. This group is not limited to a specific type of addiction or substance The group meets weekly on Tuesdays for one hour. Please contact me for availability. Open-ended (members can join, leave, and re-enter (if space is available) the group as they wish). The group will be a mix of process and psychoeducation. Bachelor of Arts in Environmental Conservation from University of Colorado at Boulder. I am a Registered Psychotherapist (NLC.0106353) a Licensed Professional Counselor Candidate (LPCC.0014760) and a Marriage and Family Therapist Candidate (MFTC.0013566). I recently moved back to Colorado after living and working in New York and Los Angeles. I’m married with two kids, two dogs and a new kitten on the way. I have a daily meditation practice, love music and modern design.